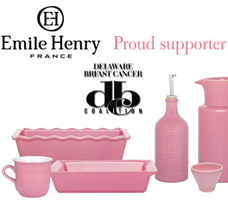 New Castle, DE – November 2011 — For the fifth year in a row, on December 9, 10 and 11, consumers are invited into the giant, 44,000-square-foot kitchen products warehouse of some of the most prestigious housewares brands available: Emile Henry, Duralex, Rösle, Mauviel and Lékué. This once-a-year invitation is for huge savings. The sale attracts thousands of people so an extra day has been added. 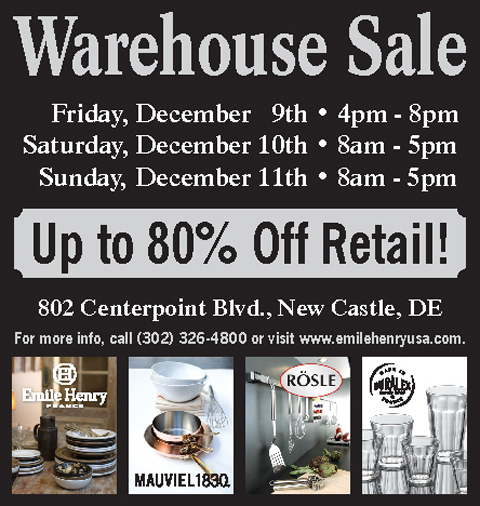 The sale dates are Friday, Dec 9, 4pm till 8pm; Saturday, Dec 10, 8am till 5pm; Sunday, Dec 11, 8am till 5pm. up to 80 percent off retail. Cooking enthusiasts will have opportunity to buy, at factory prices and lower, the stainless steel garlic press, the French ceramic pie dish, the copper skillet or the other kitchen products that they’ve been coveting for years. The three-day sale is in the Centerpoint Business Complex Park in New Castle at 802 Centerpoint Blvd. Follow signs from Route 273 to the warehouse. Doors open at 4:00pm on Friday and 8:00am on Saturday and Sunday. The parking lot opens an hour before the doors open. Parking is free. Cash and credit cards will be accepted. 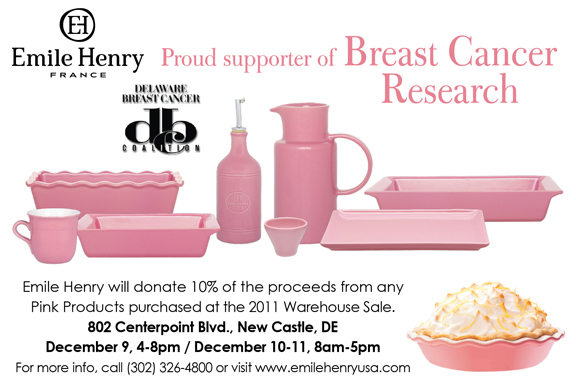 For additional information on the sale, please call 302-326-4800. Mauviel cookware, one of the only copper cookware manufacturers left in the world today, is made in Normandy of 90-percent copper and lasts a lifetime. Rösle award winning, German designed kitchens tools are backed by a lifetime warranty. Duralex Picardie drinking glasses and Lys glass bowls are renowned throughout the world. Lékué, an award winning Spanish brand of innovative and fun kitchen tools are designed for healthy, low-fat cooking and baking. in the national media including the Today’s Show, Good Morning America, Food Network, Bravo, HGTV, Cooks Illustrated, Fine Cooking, New York Times, USA Today, Wall Street Journal, Washington Post, Bon Appetit, Food & Wine, The Oprah Magazine, Martha Stewart, House Beautiful, Rachel Ray and the Los Angeles Times. ← Previous Story Delaware Workers’ Compensation Benefits – Who qualifies, and for how long?